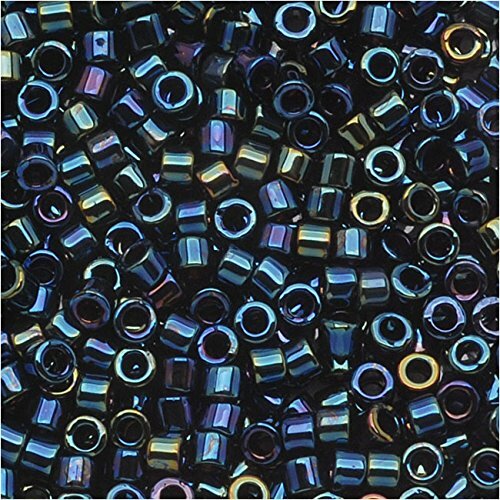 Tube weights are APPROXIMATE Miyuki Delica beads are superior quality machine made Japanese seed beads. Japanese seed beads are known for their uniform size and cut consistency standards, which makes them excellent beads for bead weaving and looming. 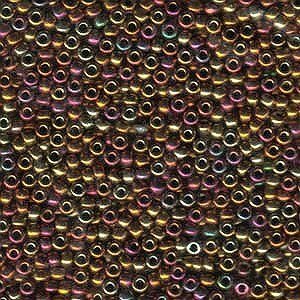 Delica seed beads are cylinder or tube shaped while Czech rocaille seed beads are round. Size 11 Miyuki Delica beads measure about 1.6mm in diameter and are sold per gram. Expect to receive about 190-200 beads per gram, or 1710-1800 beads per 9 gram package. 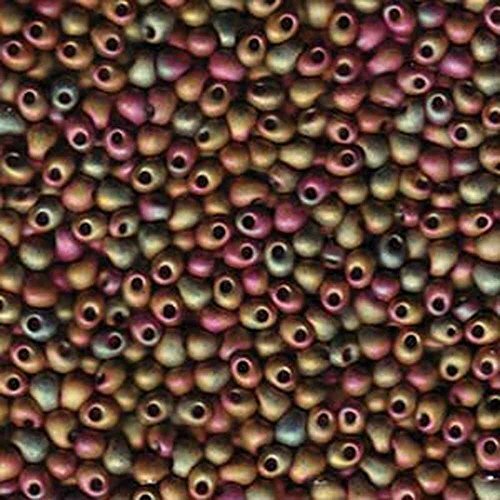 Miyuki Delica beads are superior quality machine made Japanese seed beads. Japanese seed beads are known for their uniform size and cut consistency standards, which makes them excellent beads for bead weaving and looming. 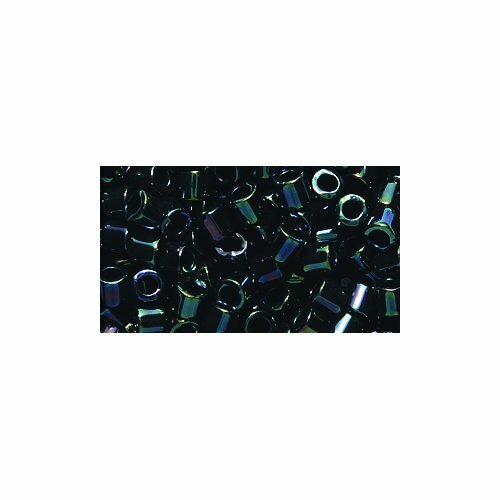 Delica seed beads are cylinder or tube shaped while Czech rocaille seed beads are round. Size 8/0 Miyuki Delica beads measure about 3mm in diameter and are sold per gram. Expect to receive about 246 beads per 8 gram tube. Japanese glass Miyuki beads are known for their uniform shape and quality. They are ideal for consistent bead weaving texture and multiple passes of fine beading thread, such as Fireline, Power Pro, KO Thread and Nymo. Color: Metallic Gold Iris - Miyuki Round Color Number #462 Measurements: 2mm, 0.8mm hole. Quantity: 8.5 Gram Tube (approximately 900 pieces depending on the finish). This item is in the original manufacturer tube for easy storage and organization. Tube is reusable and will fit most standard tube towers and organization totes. For a larger quantity, see our item #11-9462. Beautiful 11/0 Miyuki Delica Seed Beads. Color: DB006 "Gun Metal Iris". Ideal Beads For Peyote Stitch, Brick Stitch, Square Stitch, And African Helix. 8 Grams In Reusable Tube. 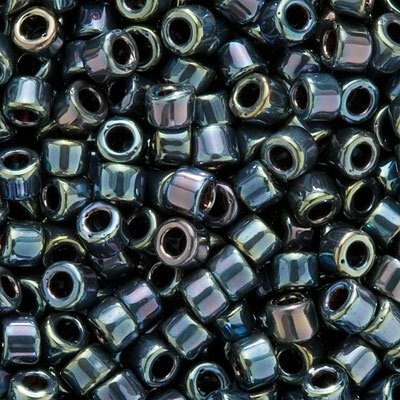 Miyuki Delica beads are known for their perfect tube shape and extreme uniformity. Their perfect tubular shape and large hole size to bead size ratio makes them ideal for consistent bead weaving texture and multiple passes of fine beading thread, such as Fireline, Power Pro, KO Thread and Nymo. The 11/0 size is the most popular bead size, recommended in bead magazines and beading books everywhere. There are approximately 175 to 200 beads in one gram of Delica Beads, depending on the color of the bead. There are approximately 17-22 Delica beads per linear inch. One square inch of flat woven beads would be approximately 285 beads, or approximately 1 1/2 grams. 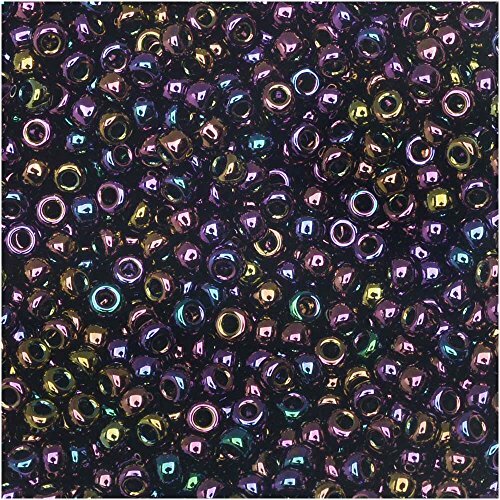 Quantity: 1 tube containing 8 Grams of "Gun Metal Iris" Delica seed beads. Uniform size and shape make Muyuki seedbeads perfect for precision work, also known as rocailles. A 24g tube will contain approximately 950 beads. 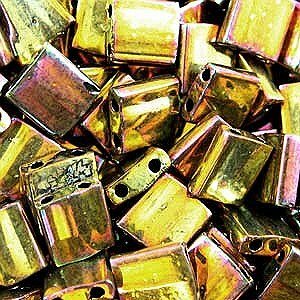 Miyuki Delica beads are known for their perfect tube shape and extreme uniformity. Their perfect tubular shape and large hole size to bead size ratio makes them ideal for consistent bead weaving texture and multiple passes of fine beading thread, such as Fireline, Power Pro, KO Thread and Nymo. The 11/0 size is the most popular bead size, recommended in bead magazines and beading books everywhere. There are approximately 175 to 200 beads in one gram of Delica Beads, depending on the color of the bead. There are approximately 17-22 Delica beads per linear inch. One square inch of flat woven beads would be approximately 285 beads, or approximately 1 1/2 grams. 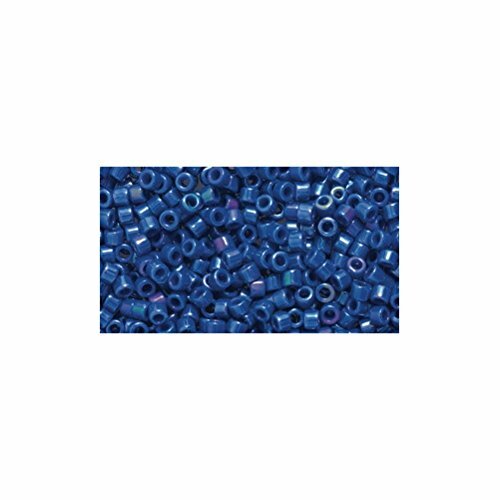 Quantity: 1 tube containing 7.2 Grams of "Blue Iris" delica seed beads. 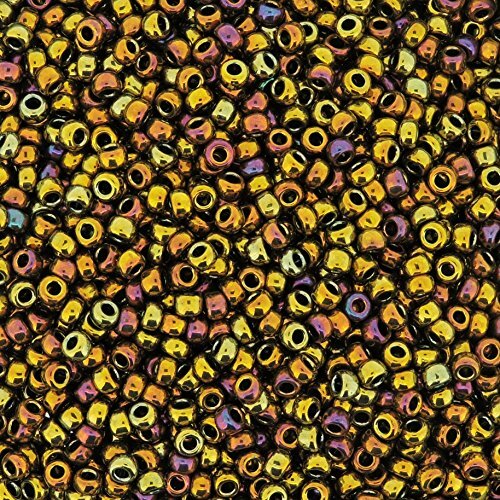 Looking for more Iris Miyuki Seed Beads similar ideas? Try to explore these searches: Regal Fly Tying Vise, Mopar Oem Jeep, and Glass Mannequin Head.